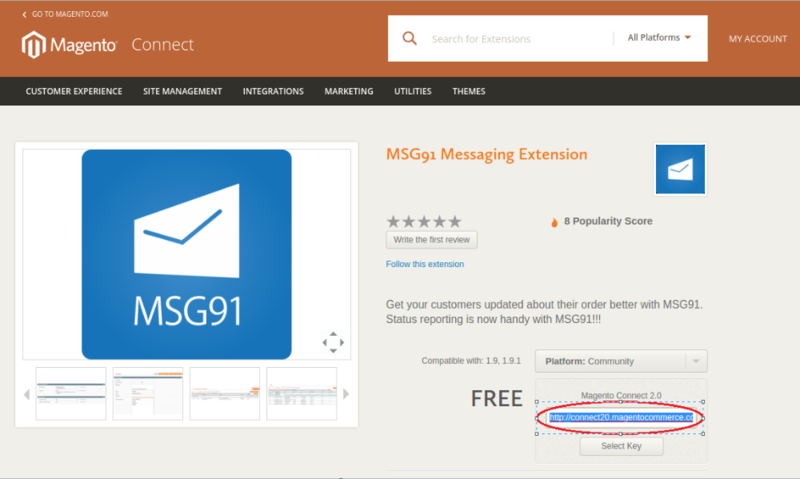 How to install and use MSG91 SMS extension for Magento version 1? MSG91 SMS extension is a free Magento community extension for Magento version 1. 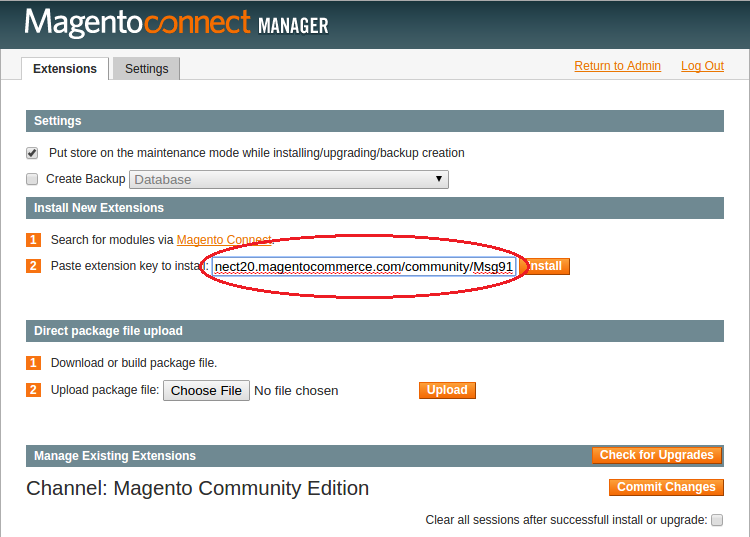 Magento connect manager will ask you to login again. 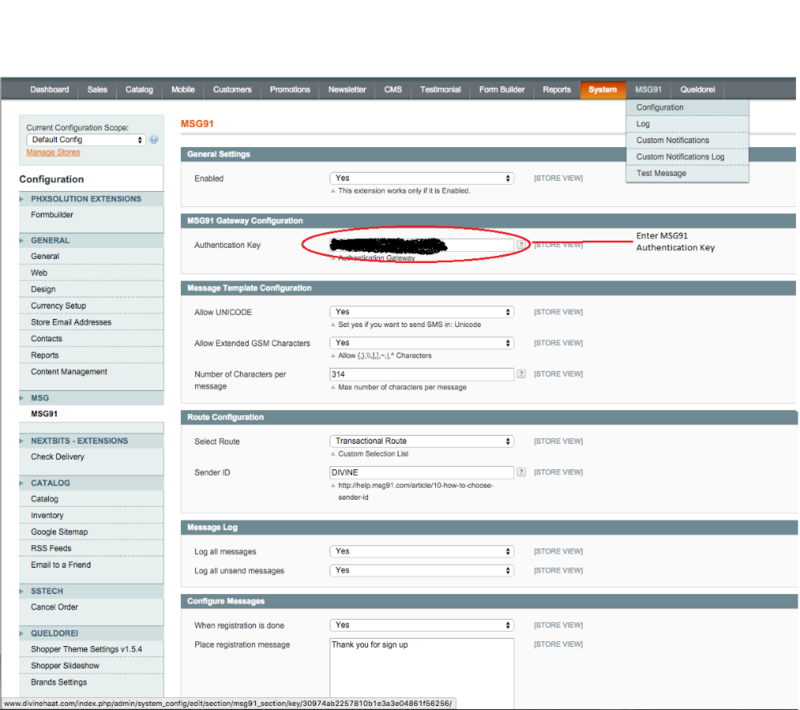 You need to use your store admin login credentials to get past the login screen. You need to paste that previously copied “MSG91 extension key” here. Installation process will begin and after successful install it will show a message. You can optionally click on “Refresh” button to see whether the extension is installed or not. Your MSG91 SMS extension is installed and ready to use. You need to install ionCube PHP encoder before-hand in order to use the plugin. You also need to have SSL. If you do not have SSL or face any issue, you may contact our support team . Go back to your installed MSG91 extension and open its configuration settings. Fill the other details along with the preferred route (transactional or promotional) and Sender ID with which you wish to send SMS. Save your configuration to send SMS.